Back in the day, I used to watch Soul Train. There was this young brother on there that moved so fluently it seemed as if he was born to dance. Well fast forward 15 years later, it seems as if that young brother was born to be an entertainer. 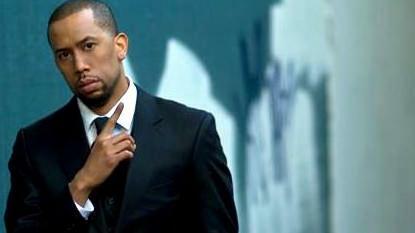 Comedian, actor and all around renaissance man, Affion Crockett! Over the past decade, I have watched Affion Crockett's career flourish. He has gone from a Soul Train dancer to stand-up comedian and sketch comedy sensation. Among being one of the pillars on MTV's hit series, Wild 'n Out, Affion has gotten well over 50 million views on Youtube. He has been one of the leading men in sketch comedy of the past 10 years. He has co-starred in movies along some of the heavyweights including Marlon Wayans (Haunted House 1 and 2), Kevin Hart (The Wedding Ringer) and Bernie Mac (Soul Men). Affion Crockett stopped by The Vincent Tucker Radio Show on a recent stop in Dallas to discuss his career, The Wedding Ringer and to introduce the world to another up-and-coming comedian, Justin Hires.